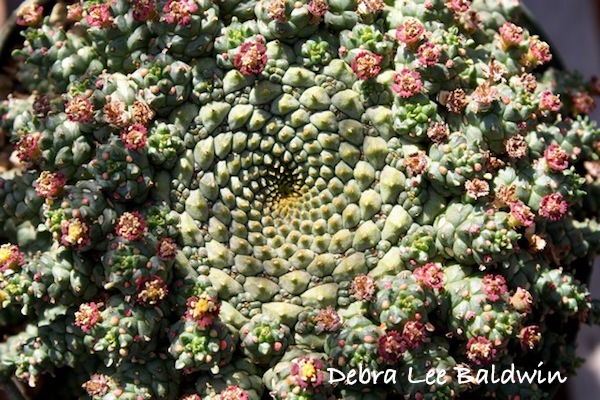 Many cacti and succulents form geometric spirals similar to those of sunflowers, pine cones and nautilus shells. 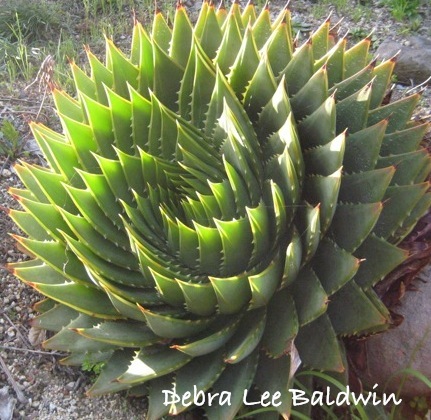 Spiral leaf arrangements funnel rain to roots, and keep upper leaves from shading lower ones. The arrangement of a plant’s leaves along the stem is phyllotaxis (from ancient Greek, phýllon “leaf” and táxis “arrangement”). 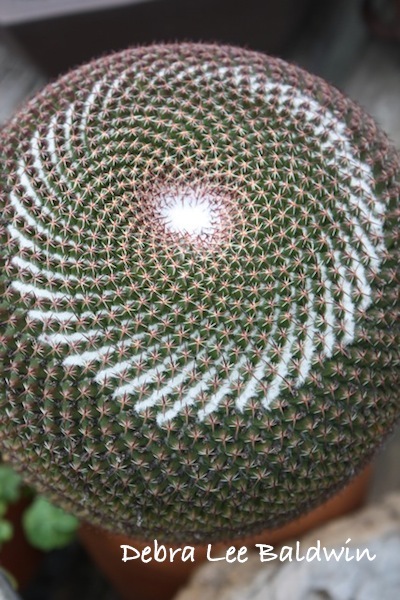 Mathematically, spiral phyllotaxis follows a Fibonacci sequence, such as 1, 1, 2, 3, 5, 8, 13, etc. Each subsequent number is the sum of the two preceding ones. There’s a hypnotic beauty about spiral phyllotaxis, not to mention it’s a great phrase to impress friends with. As is the puzzling-to-pronounce Fibonacci (fee-bo-NACH-ee), the name of a 12th-century Italian mathematician. I’m fond of spherical cacti because of how their spines spiral—in fact, I almost prefer the plants out of bloom. These are mammillarias. 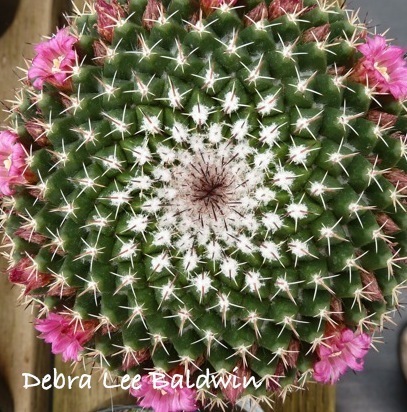 I show a cool way to display them in another article, Create a Cactus Curio Box. 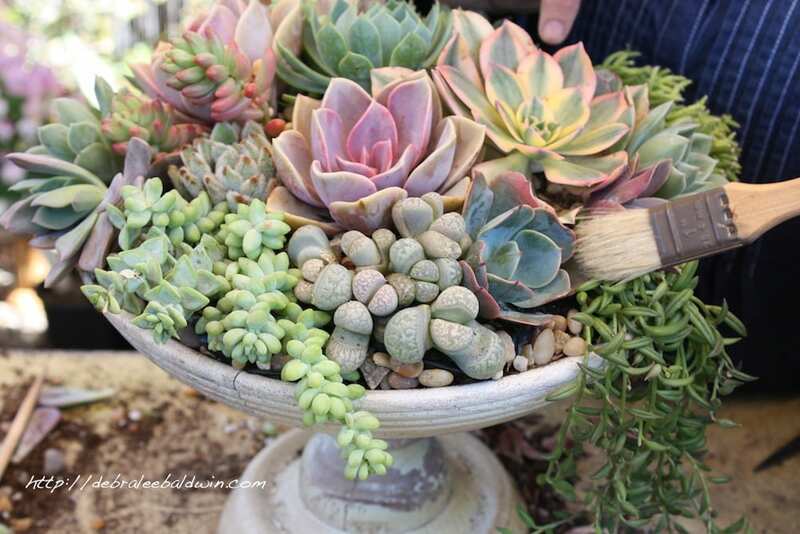 And I describe the growing popularity of these photogenic plants in Is Cactus the New Black? 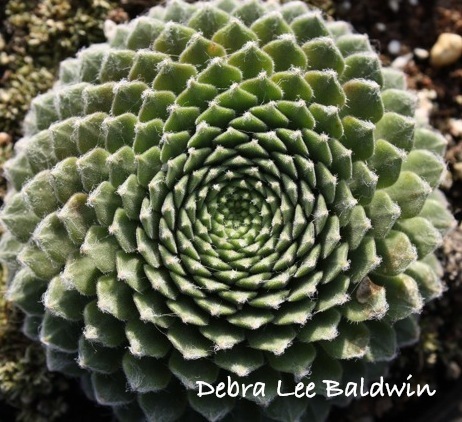 Sempervivums (hens-and-chicks) also spiral beautifully. Squint at this photo and you’ll see how similar it is to the center of a sunflower. Medusa euphorbias, known for their craggy, snakelike stems, each has a spiral at its center. No two are the same, and seldom do you find one that’s perfect. 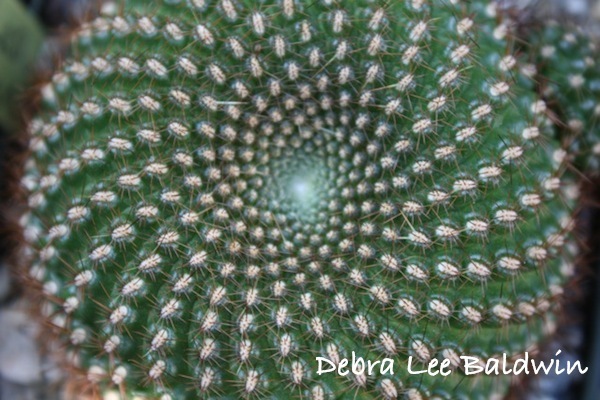 Have you noticed spiral phyllotaxis in your own garden? Do look for it. You may be surprised at how it jumps out at you, once you’re aware of it. 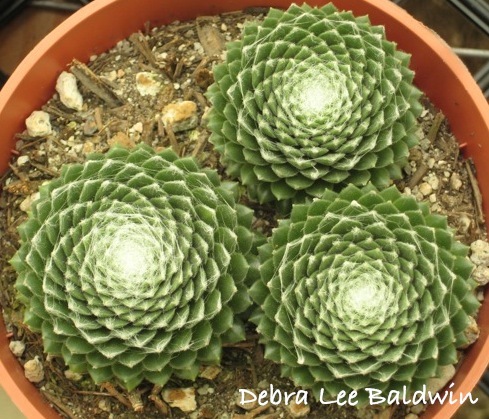 For example, this common succulent (Graptopetalum paraguayense) exhibits spiraling, albeit more subtly than the examples above. You may even see it on nonorganic items, like book bags. Is Cactus the New Black? Got a Pot? Elevate it!